It took a week to get up and running, but the GotJits.com forum is now finally online. Why another forum? 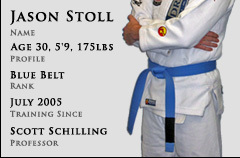 Well, there are a lot of MMA forums and school forums, but this forum is all about Brazilian Jiu Jitsu. And, although it amuses me to read my own writing, I would like to get some other perspectives from other people who train in Brazilian Jiu Jitsu. And sure, there will be a mix of other martial arts talk in the forum, no doubt. But this forum is dedicated mainly to BJJ. And there is no charge to read or write anything or limit to what you can or cannot read. I also plan to work on it until perfect, listening to your recommendations, just like this site.